Coin Description: A Proof FDC Fleur De Coin in a grade of PR 67 TRN estmation. The gold weight is 22 carat. 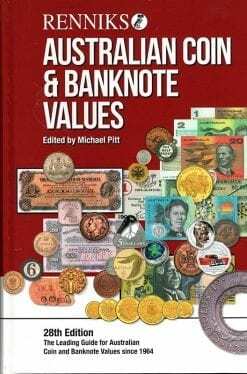 With your purchase will come letters of provenance as made available to TRN. 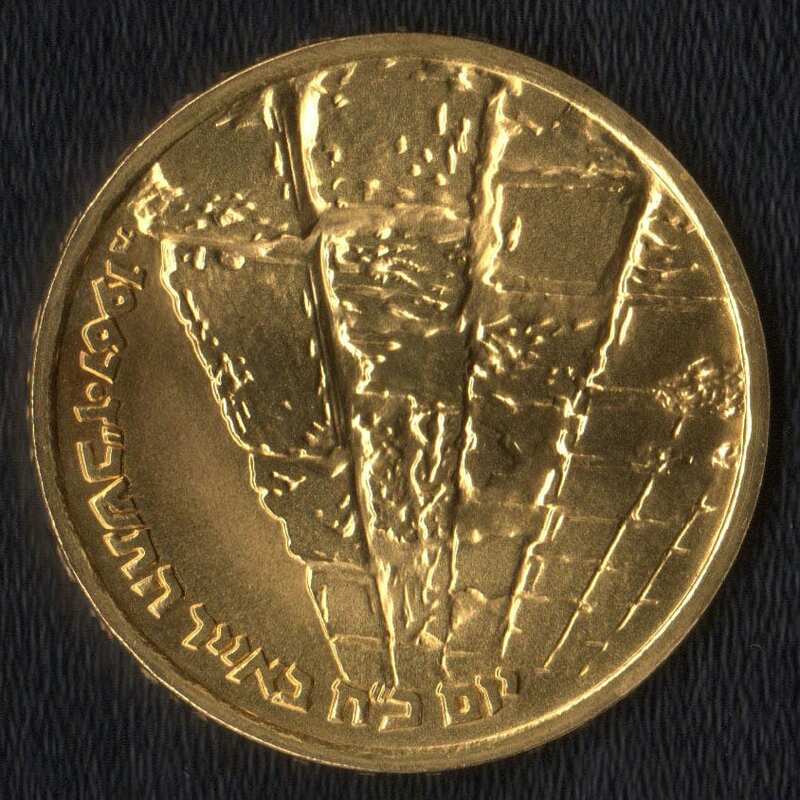 The Victory Coin was issued to mark the victory of the Israel Defense Forces in the Six Day War, June 5-11, 1967. In the center, the emblem of the Israel Defense Forces, against a stylized star. Around the upper border, between the rays of the star, the word “Israel” in Arabic, Hebrew and English. 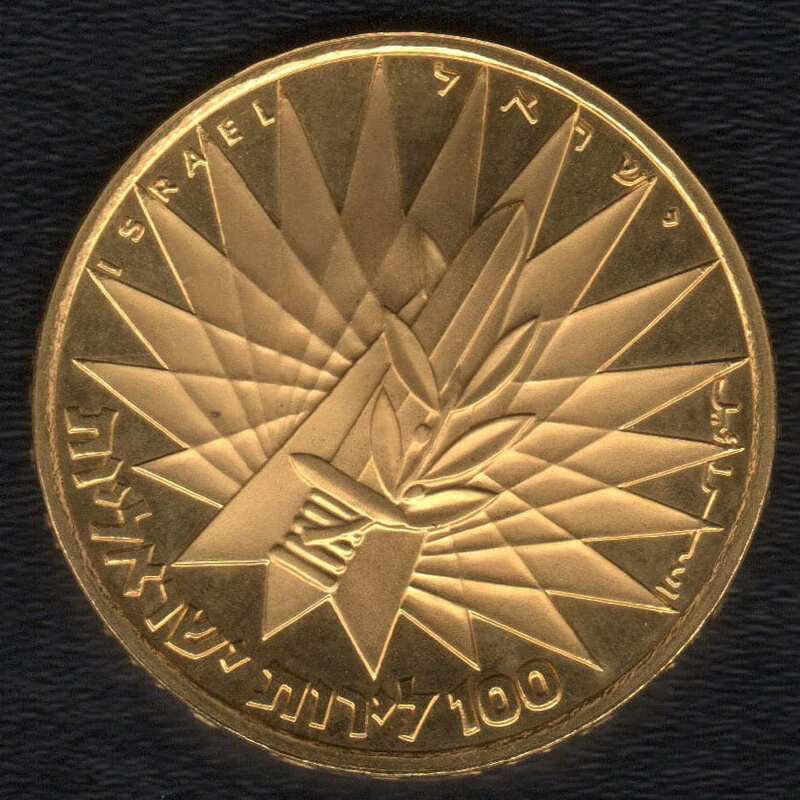 Around the lower border, the face value”10 Israeli Lirot” in Hebrew on the silver coins, on the gold coin “100 Israeli Lirot”. The Western Wall. Around the lower border, to the right, the date of its restoration to Jewish worship, in Hebrew “28th day of lyar 5727” and “1967” in English. In Hebrew, the incuse description “28th day of lyar-2nd of Sivan 5727”, the dates of the Six-Day War, appear on the silver B.U. and gold coins. The inscription faces the obverse, with small stars added. On the silver proof coin the inscription faces the reverse, with three small diamonds. On the proof silver and gold coins, the Hebrew letter “mem”. On the lower border to the left “1967”. Reverse – Rothschild and Lippman (“Roli”). Silver B.U. coin and Gold Proof coin, Federal Mint, Berne, Switzerland.